This is a recipe I used to make for dinner parties in the 1980s. Mum must have asked for the recipe and my daughter wrote it out for her and added the lovely drawing. Needless to say she did not go onto becoming an artist…. 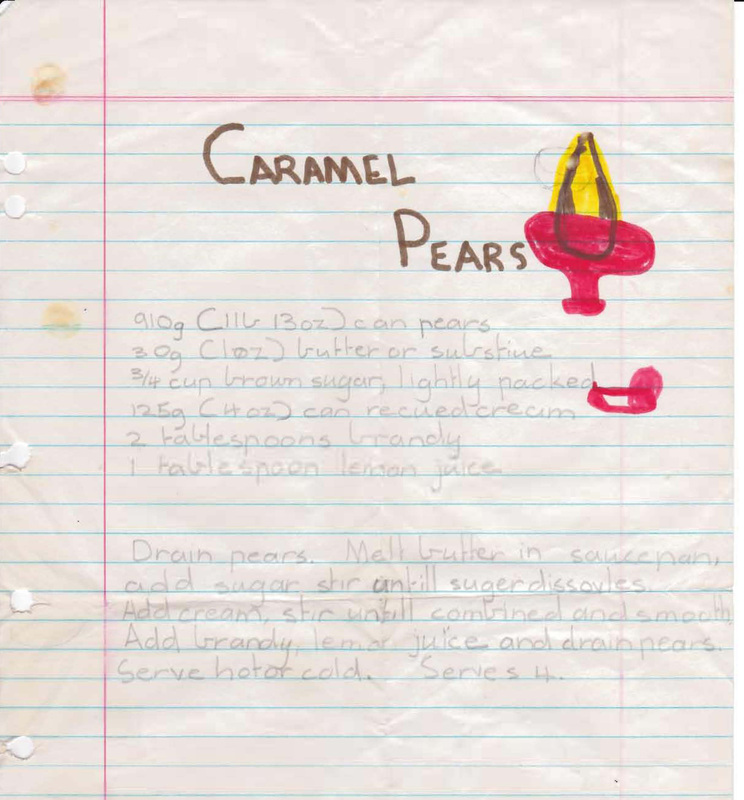 This entry was posted in All Recipes, Desserts and tagged 1980s, brandy, brown sugar, butter, caramel, caramel pears, cream, pears by bebsrecipes. Bookmark the permalink.